Sell more at the right time and right place. 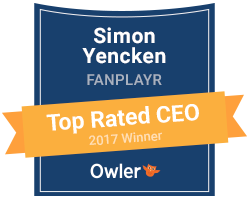 Fanplayr is revolutionizing real-time marketing by harnessing the power of big data to help retailers and marketers profile and target site visitors based on their specific behavior and experiences. With a focus on improving conversions and average order values on ecommerce sites, the service assesses in real-time a visitor’s clickstream and page engagement duration and identifies key demographic data, visit frequency, visit time of day and other valuable characteristics to determine the perfect offers, deals and pricing to present to visitors. While there’s a growing wealth of knowledge about customer behavior available, an important thing to note as startups take advantage of big data is to ensure that customers are not viewed as mere statistics. Businesses are built on forming lasting and genuine relationships with your target audience and not solely on the basis of mining data to increase sales.